On 16th November, 2018, scientists from around the world met at the General Conference on Weights and Measures in Versailles, France, and voted to change the definition of a kilogram, tying it to a universal constant in nature, Plank’s constant. The change will go into effect on May 20, 2019. The kilogram is dead! Till the date a kilogram was defined as the mass of a metal cylinder made of platinum and iridium in 1889 that resides under lock and key in an underground vault in Paris, the so called International Prototype Kilogram, or IPK. Earlier to this definition, a kilogram was defined as the mass of a cubic decimeter of water, a decimeter being a tenth of a meter. Both these definitions were relative and that has complicated the use of a uniform definition for kilogram round the globe. It is interesting to note that these attempts to define the fundamental units universally, was a byproduct of the French Revolution, when the revolutionaries wanted to create units that were ‘pour tous les hommes, pour tous les temps’ — for all men, for all time! The definitions of both length and time have already been changed and related to something more absolute, the so called universal constants. For example, the latest definition of length is based on the velocity of light in vacuum, which is considered an absolute constant as per Einstein’s theory of relativity. Correspondingly, a meter is the distance traveled by light in a vacuum in 1/299,792,458 seconds. The new definition of a kilogram is based on another universal constant derived from the Quantum theory of Max Plank. It is defined by taking the fixed numerical value of the Planck constant h to be 6.626 070 15 × 10-34 when expressed in the unit J.s, which is equal to kg.m2 s -1, where the meter and the second are defined in terms of c and ∆νCs. By defining the fundamental units based on the universal constants, they are made more easily accessible to everybody in the world to refer to these more fundamental definitions. 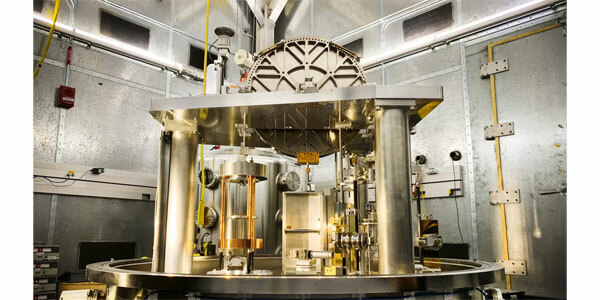 Although the value of the kilogram will not change, the redefinition of the kilogram using a constant will ensure it remains reliable, and enable far more accurate mass measurements in the future.